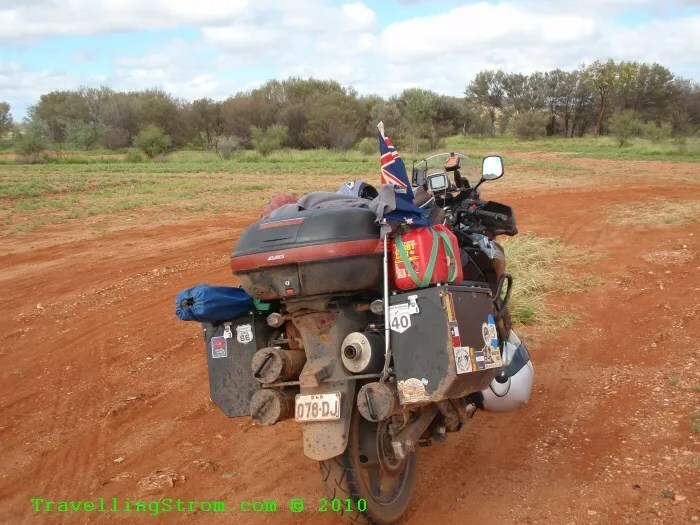 Bit of bad news when I packed up, I snapped one of the poles for the tent, so that was going to be annoying, less than a month old and broke already, bugger! 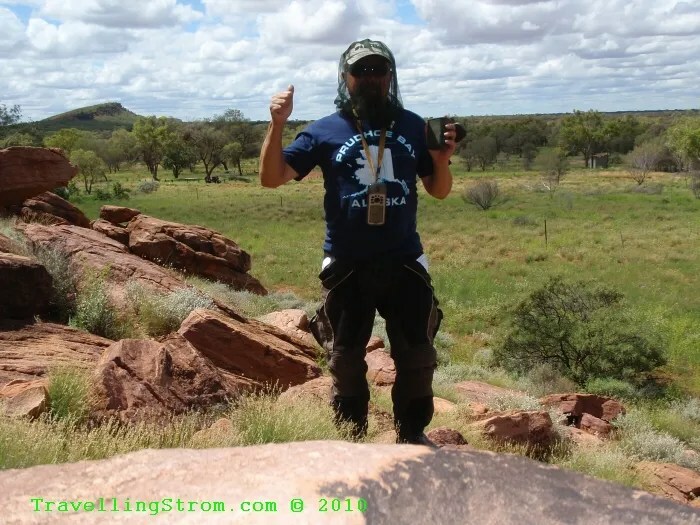 And to top it off, the cheap camp chair I had just bought, also broke a leg!!! 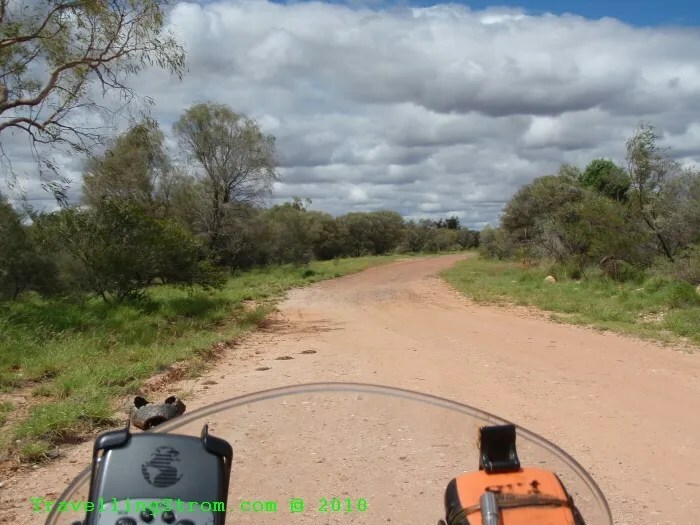 I did not leave too early as I was only planning on getting to Tennant Creek and the first cache was up the road a short way, it was a turnoff to the Tanami Track, this is another dirt road that leads from Alice Springs to Halls Creek, but I am not doing that one this time either, but I will do it one day. 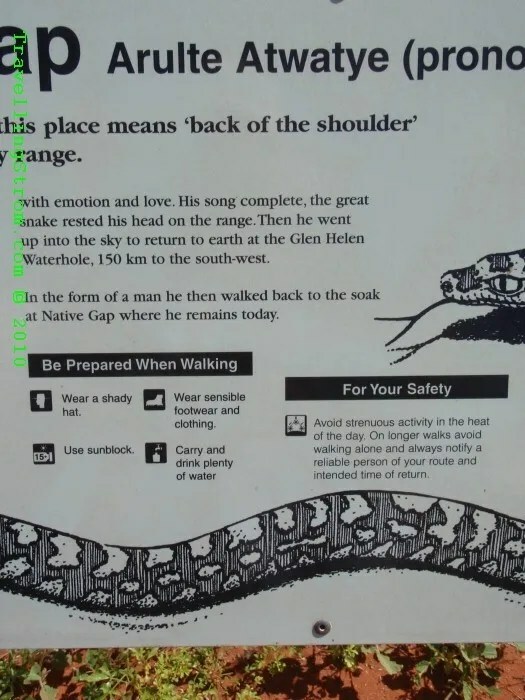 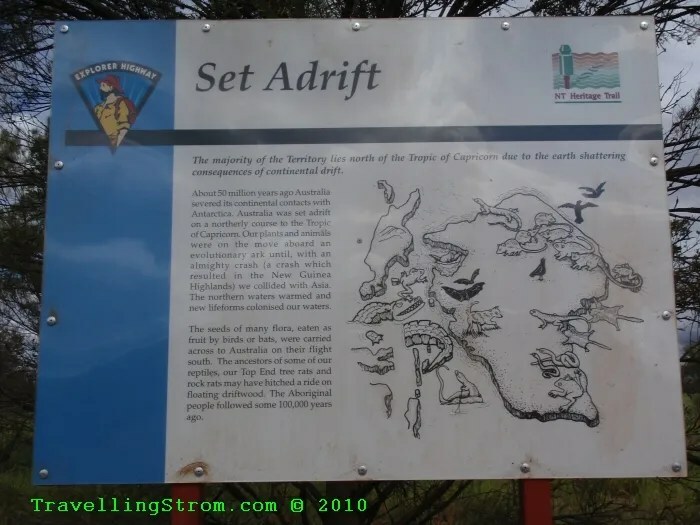 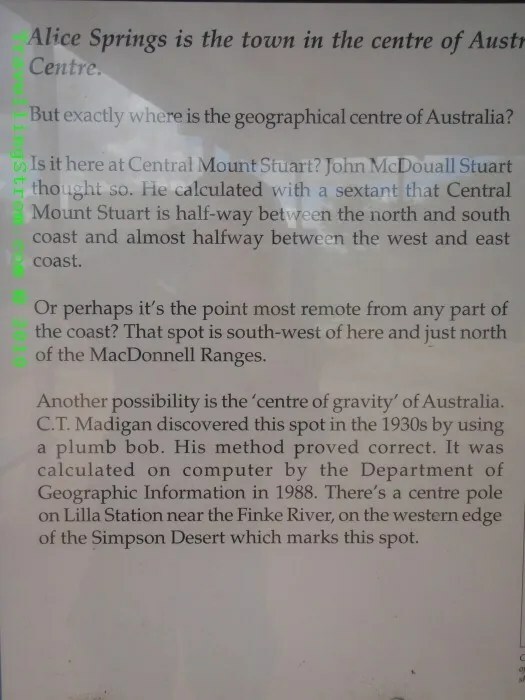 It is the yellow road on the bottom left of the map and heading up and left. 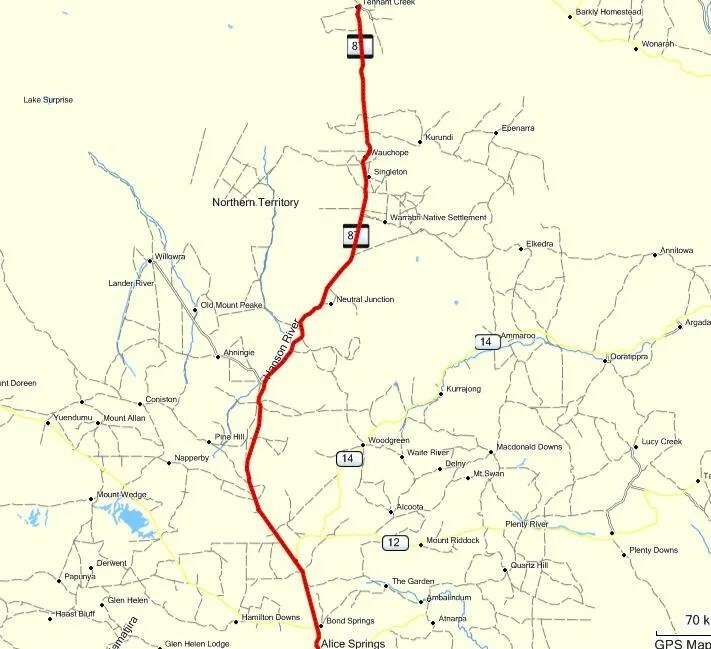 My track as usual is in red. 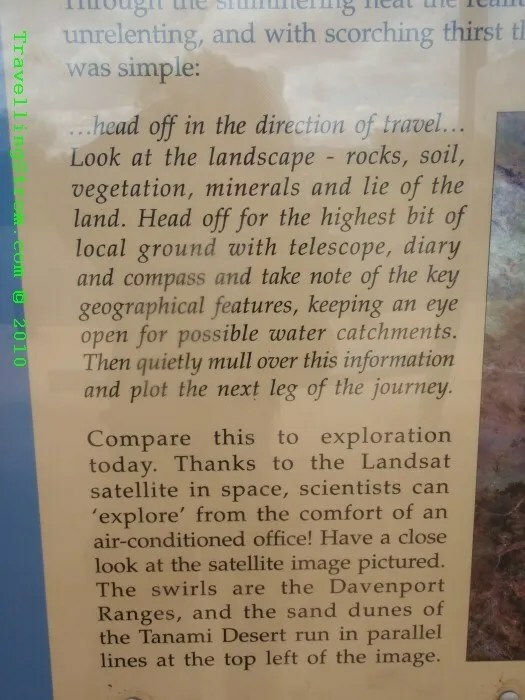 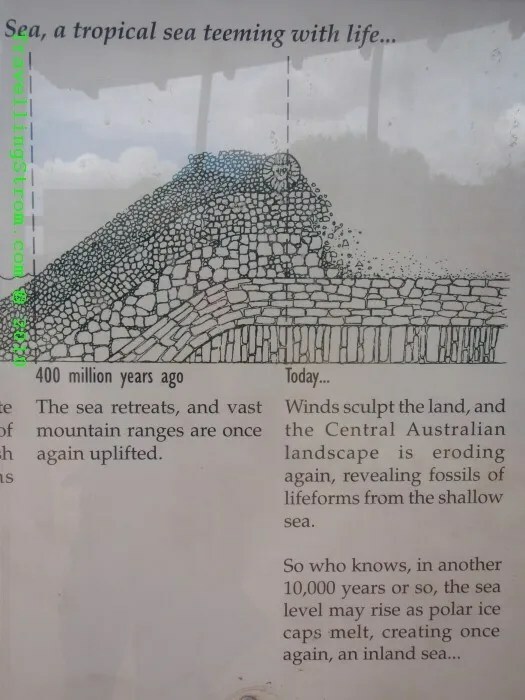 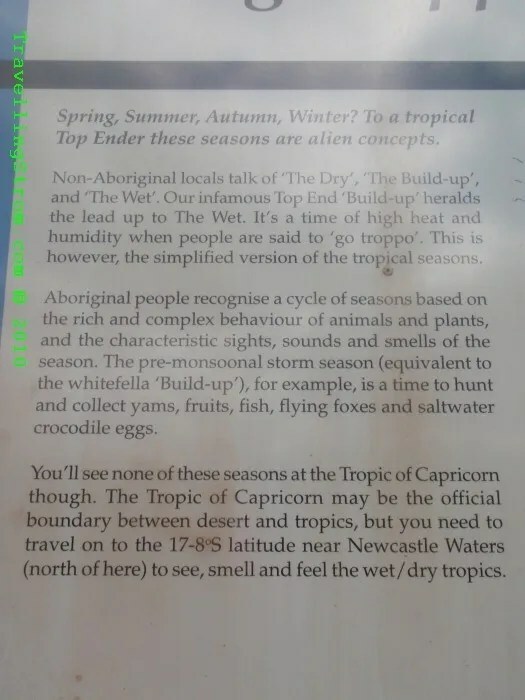 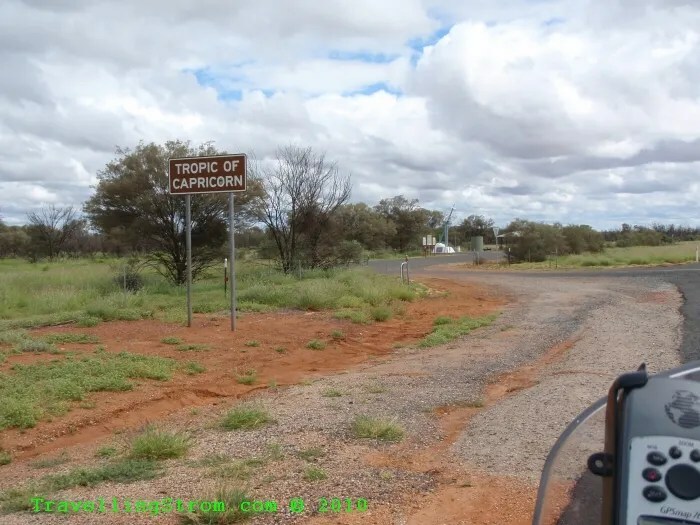 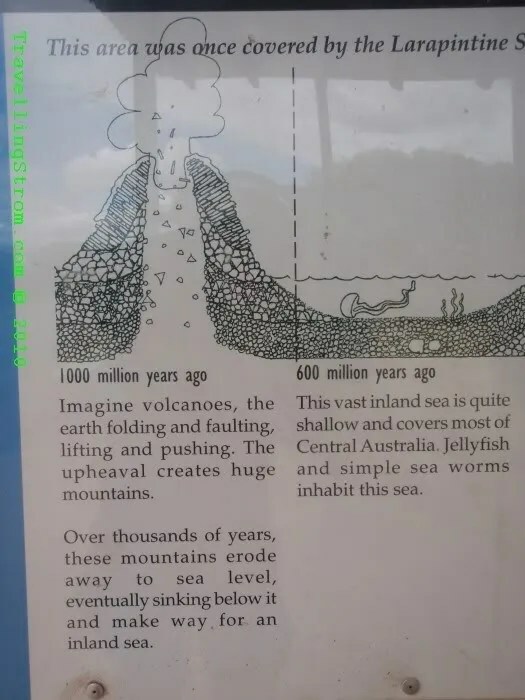 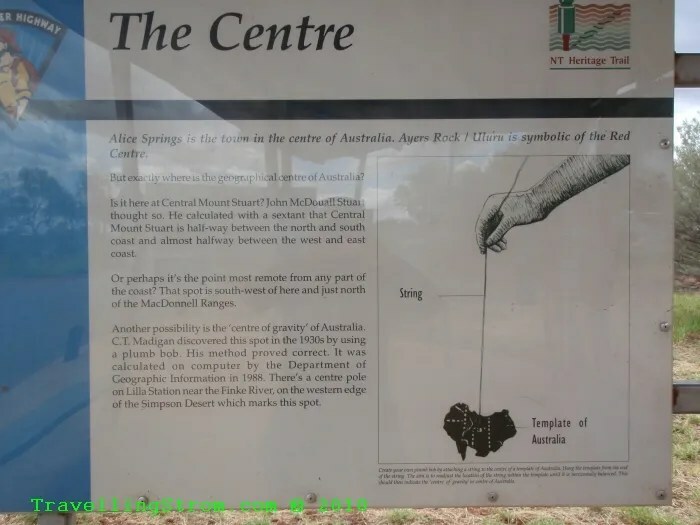 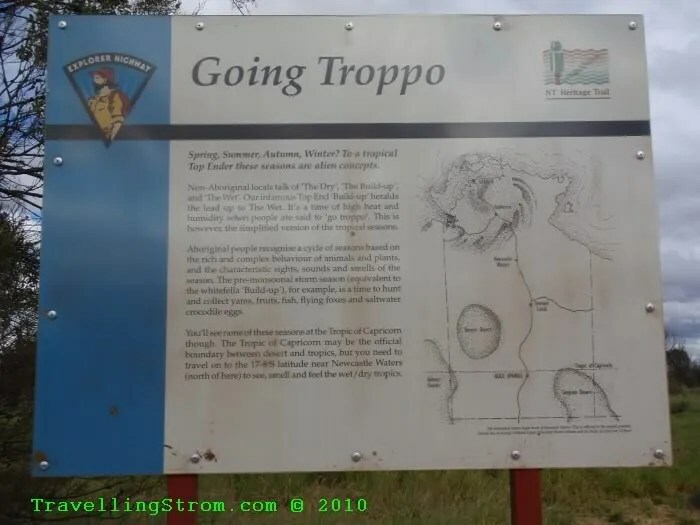 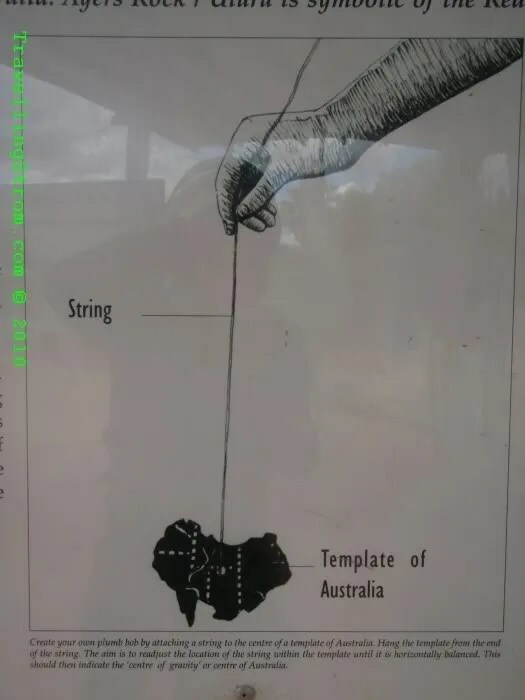 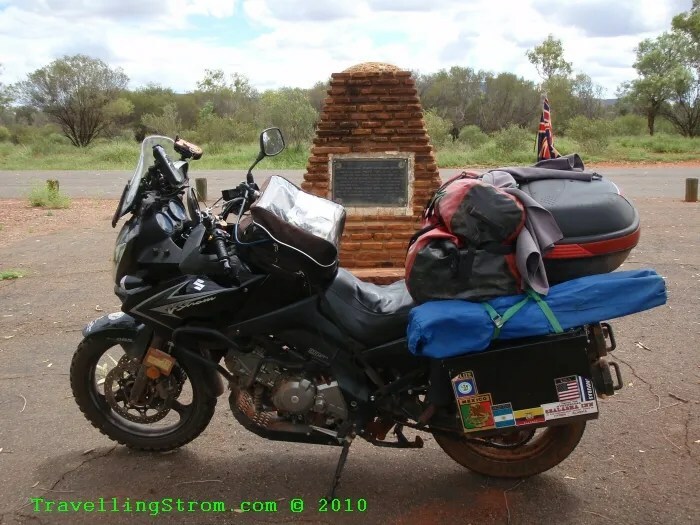 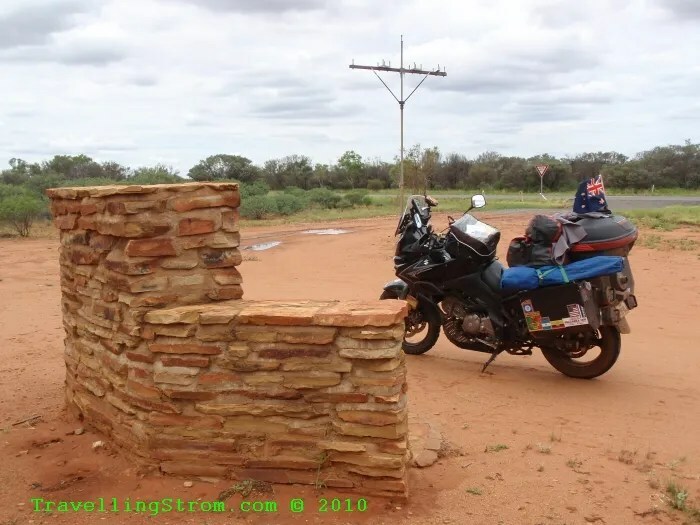 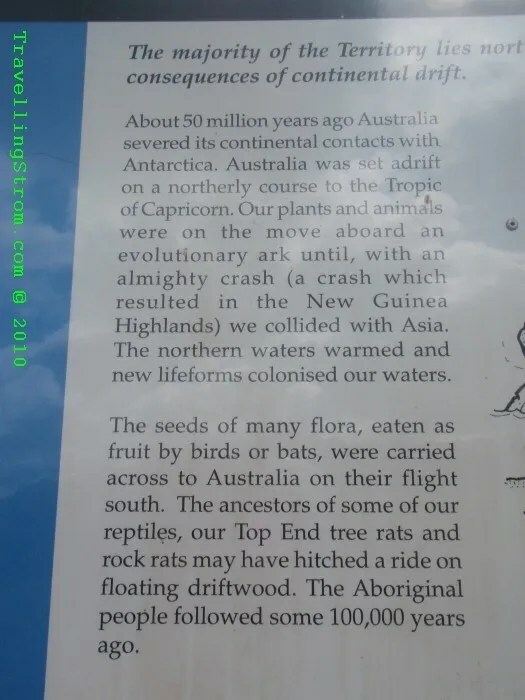 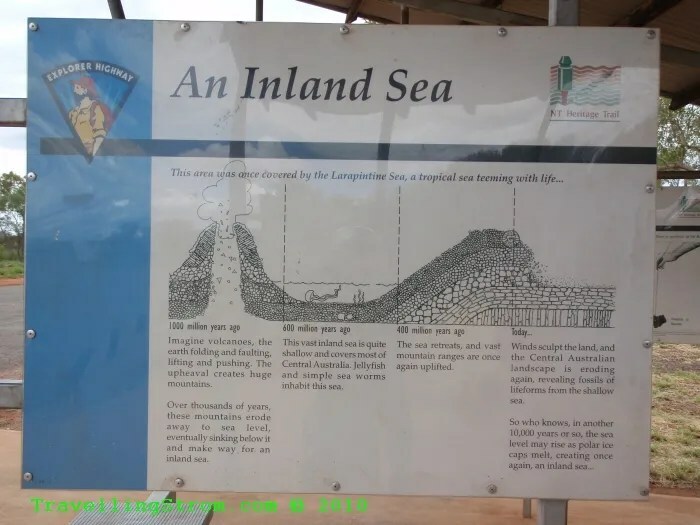 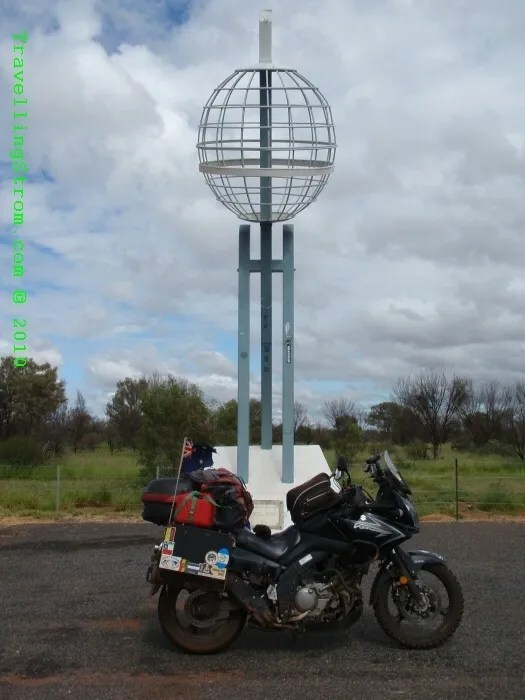 Not far from here was the Tropic of Capricorn, there were some interesting info boards here, especially the Troppo one, I have experienced the ‘build up’ and it is horrible! 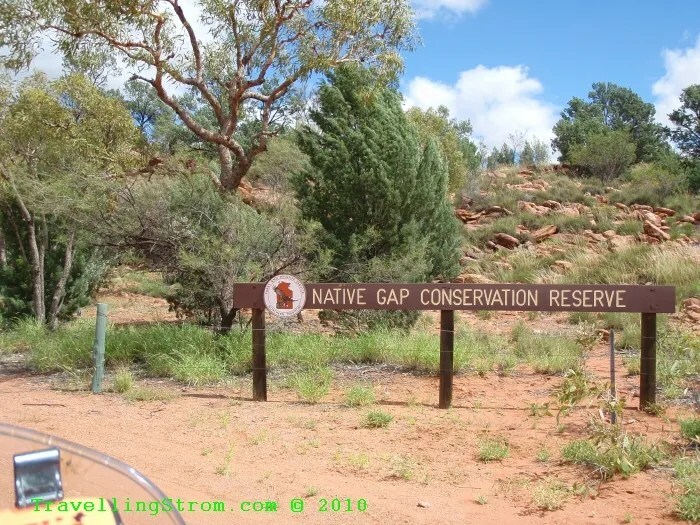 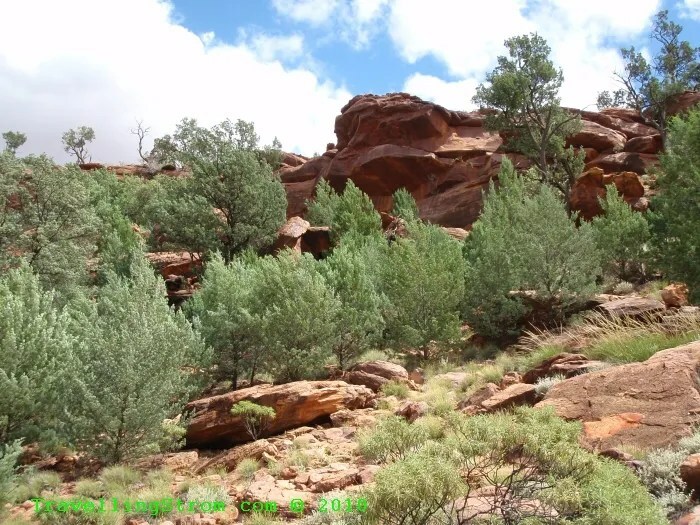 Another cache was at Native Gap and as I have ridden past here a few times without stopping, it was excellent to have a reason to, it looks like a great place to campout, but a bit early in the day. 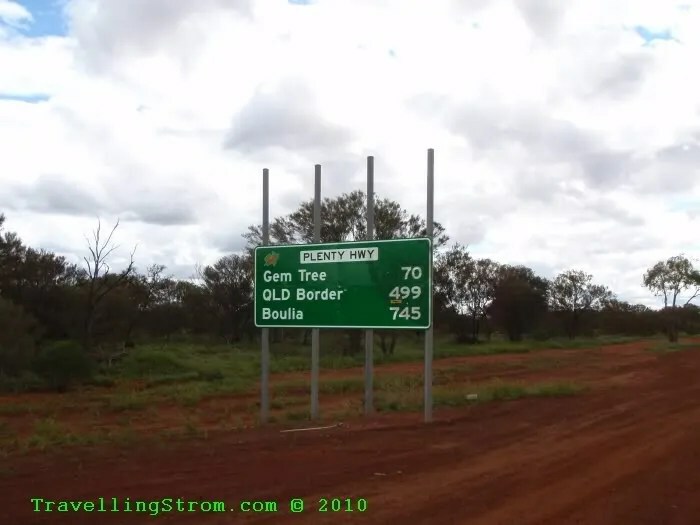 The only downer would be the bloody flies!!!! 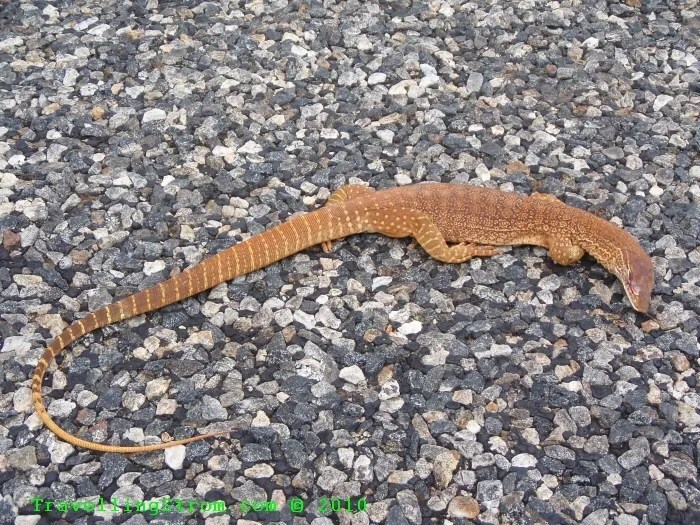 On I go and as I ride I am seeing a lot of lizards, some running, some no longer in any condition to run, this one is a smaller one although I have seen some a few feet long, they are desert coloured and stick out like dog’s proverbials on the tarmac! 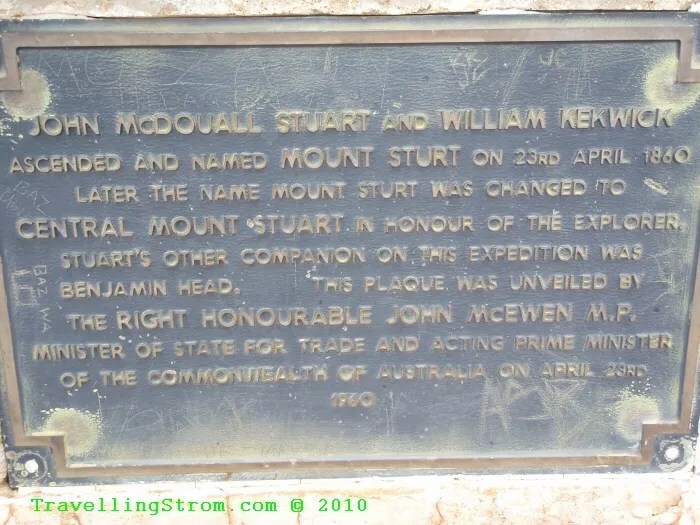 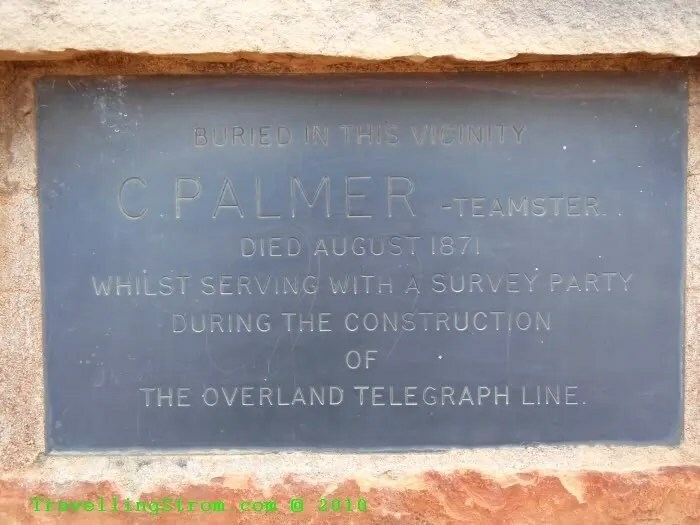 There was another memorial up the road a ways, this one for one of the builders of the telegraph line that I learnt about at Mt Ebeneezer. 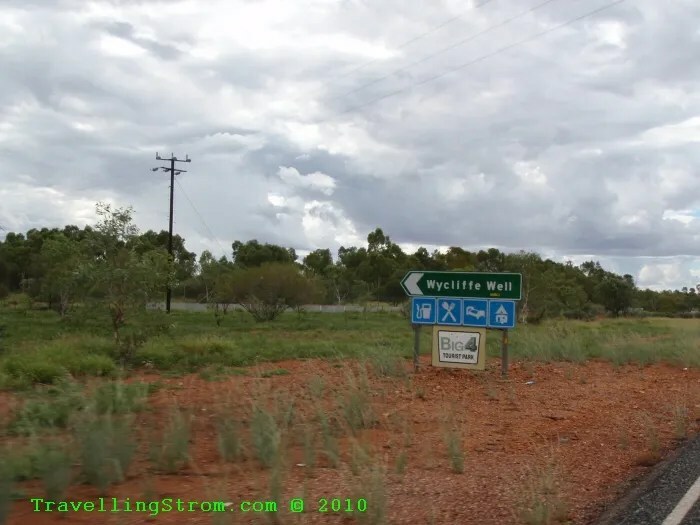 I was about 15km short of Wycliffe Well when I ran out of fuel, bloody Opal, I guess it was my own fault too as I had not allowed for the headwind and I was not running that fast either, but the fuel is hard to work out, you use more and get less power and range! 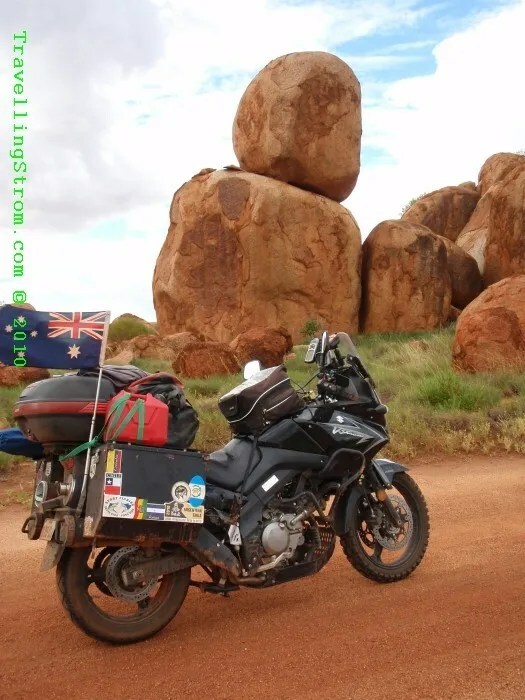 I had some trouble flagging people down, I nearly got run over once when the car had no intention of stopping. 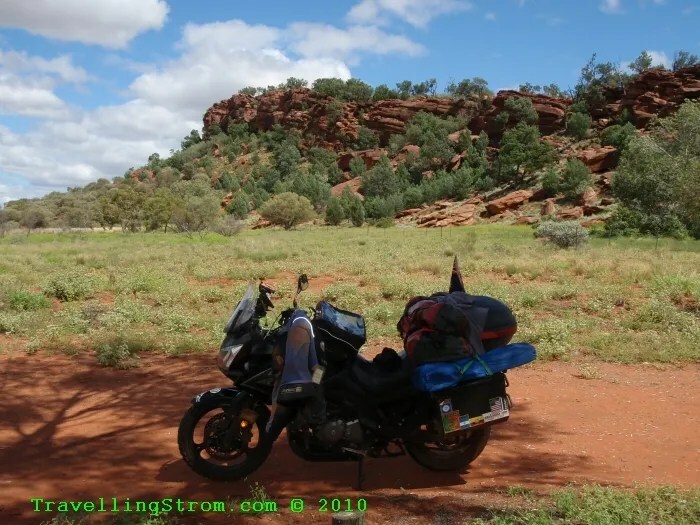 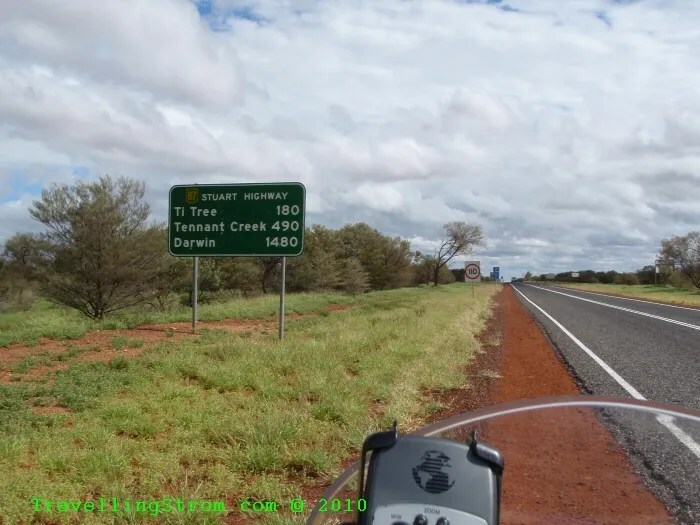 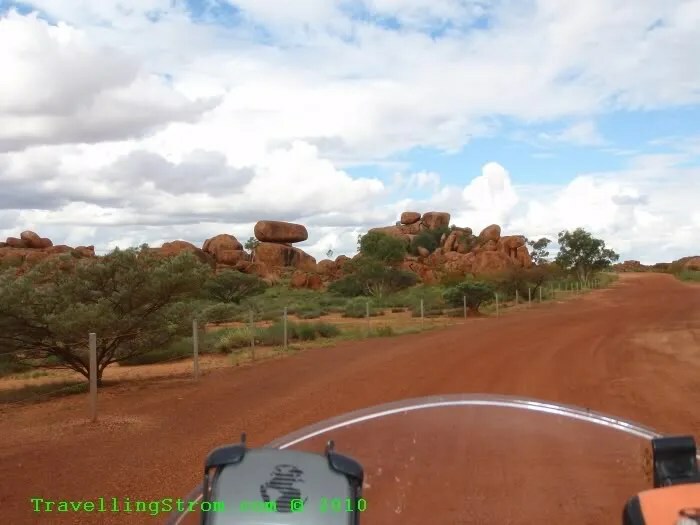 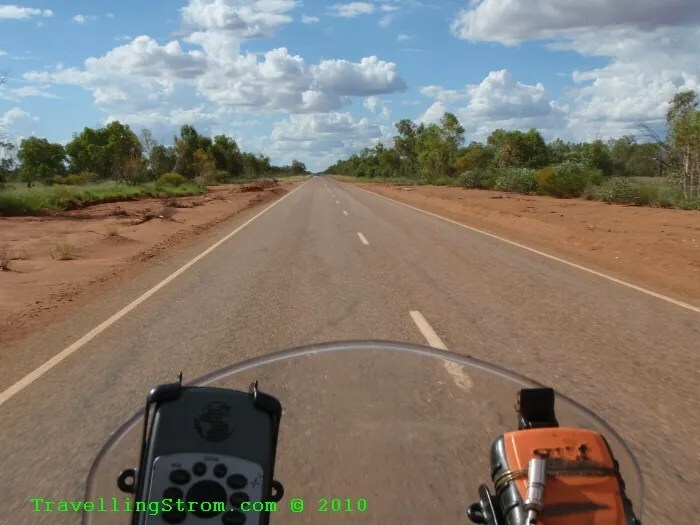 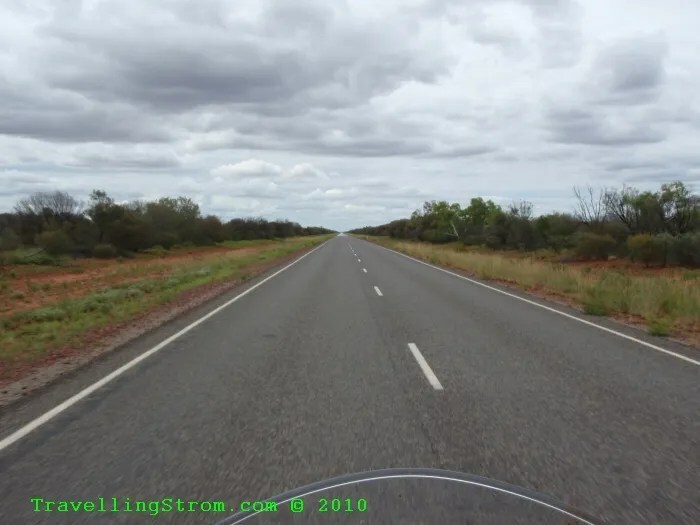 I guess a scruffy biker waving a lone lady down in the middle of the outback could be seen as a threat! 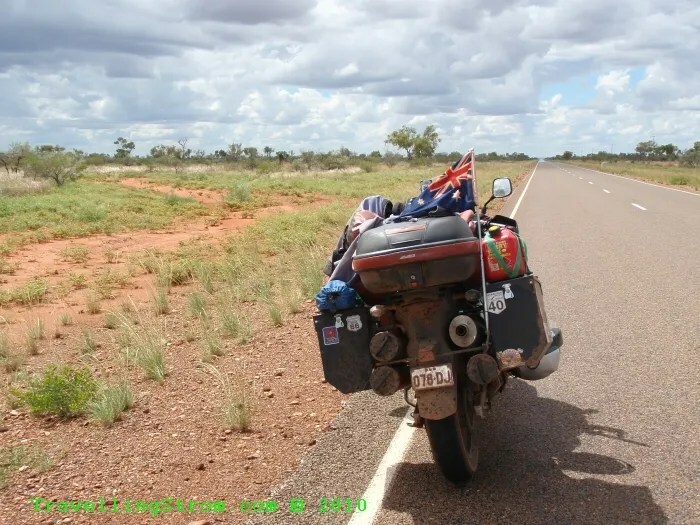 Eventually though, two blokes in a hire car came from the north and took my fuel can back and filled it up for me, thanks guys. 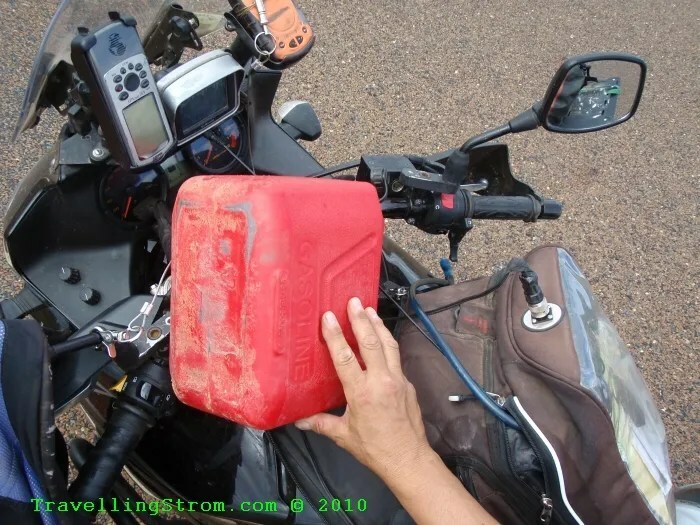 Don’t ask me why the spare fuel can was empty, I won’t answer! 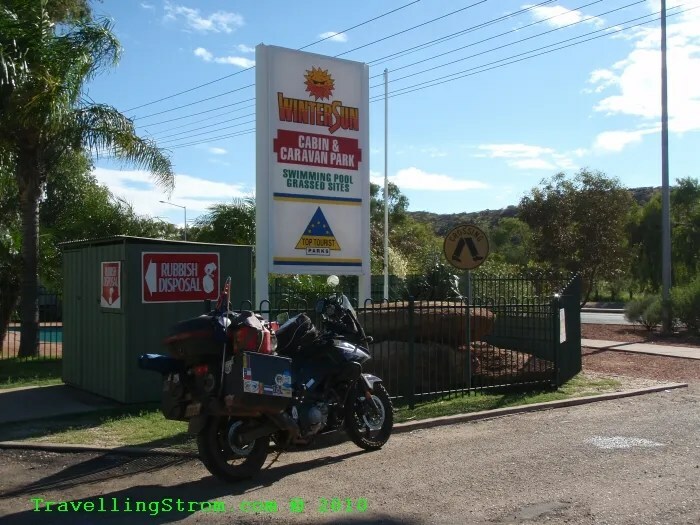 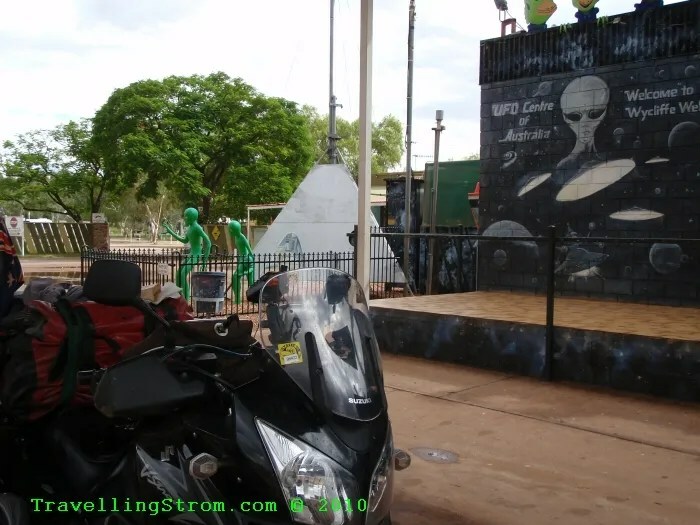 I did manage to get to the servo and fuel up, this is at the alien capitol of Oz, I have been here before, so I did not go through the whole procedure again, but did take a few photos. 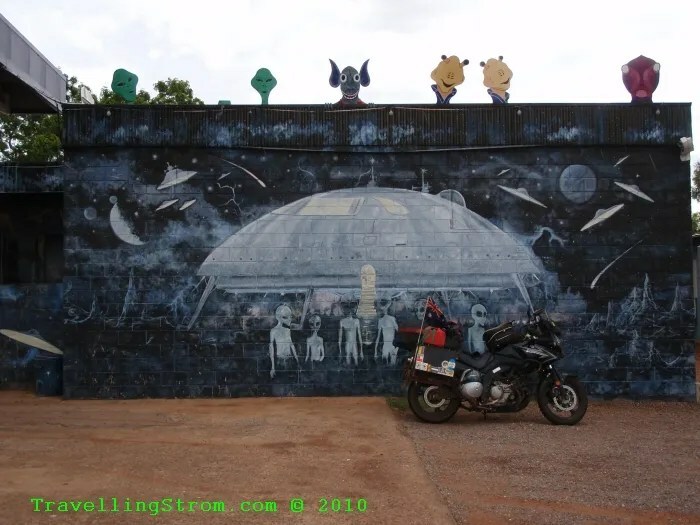 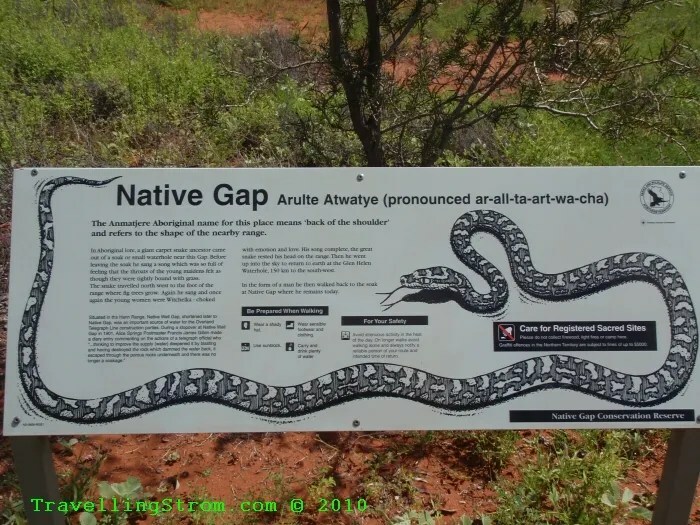 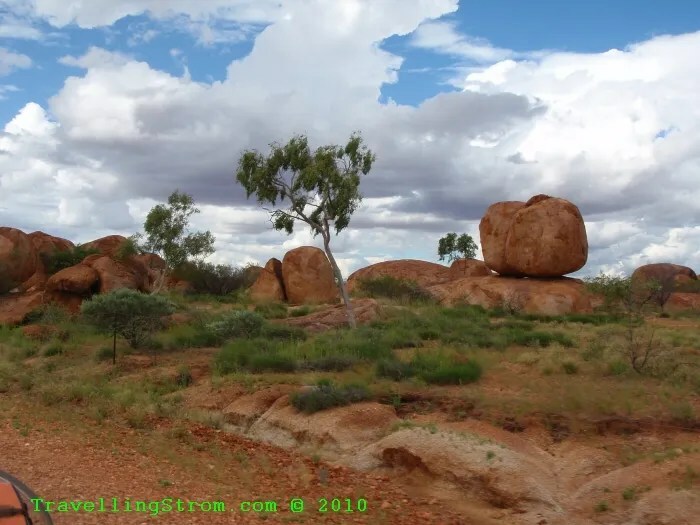 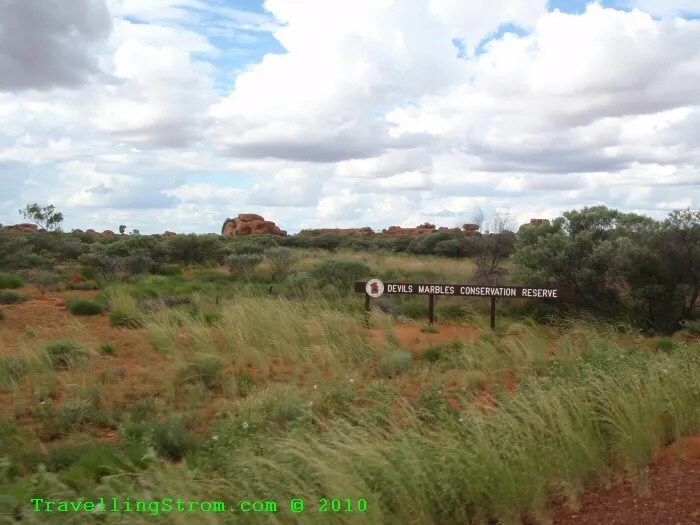 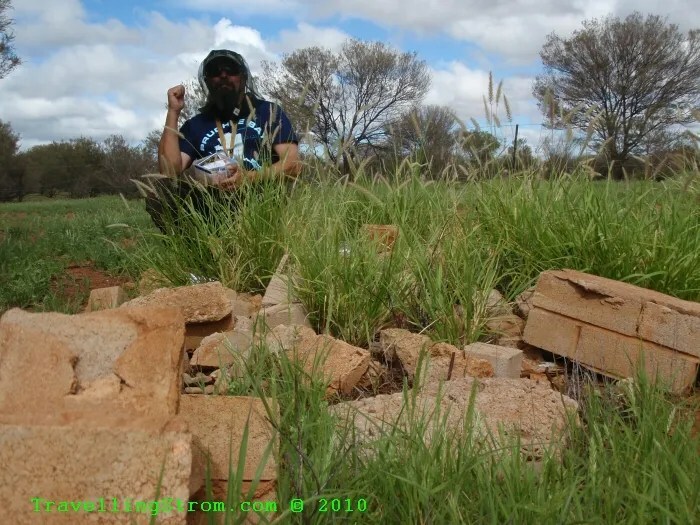 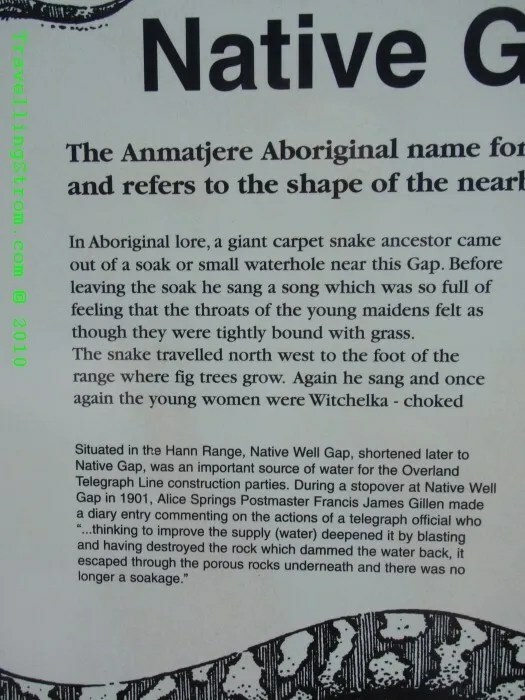 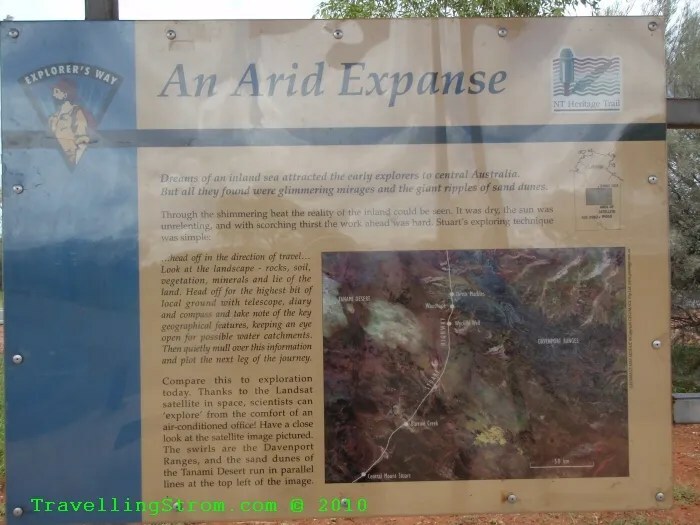 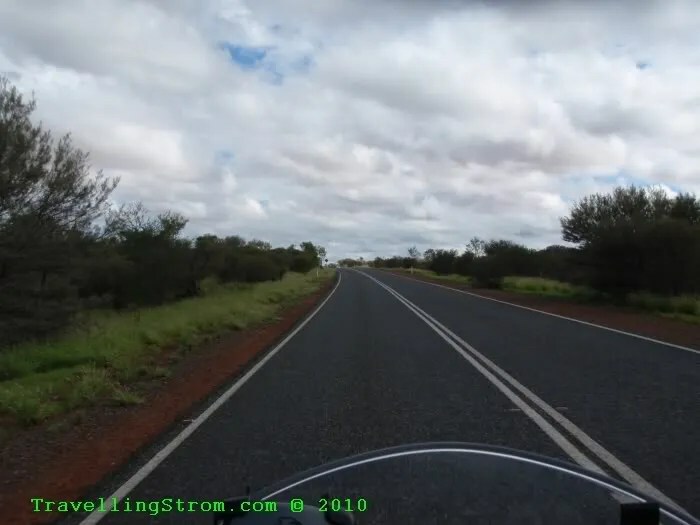 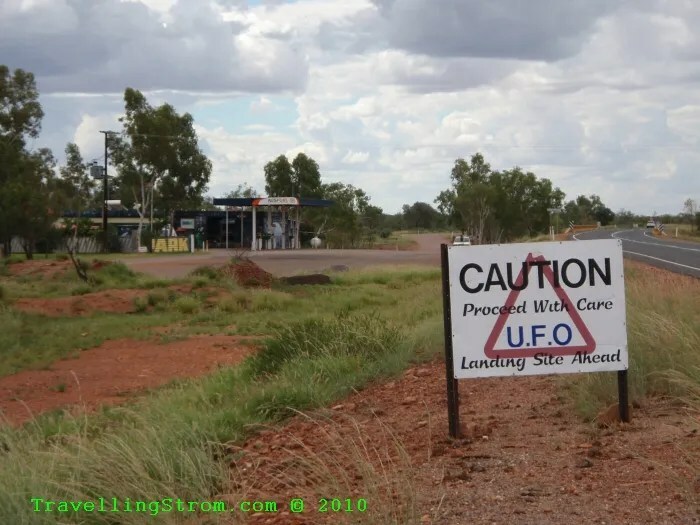 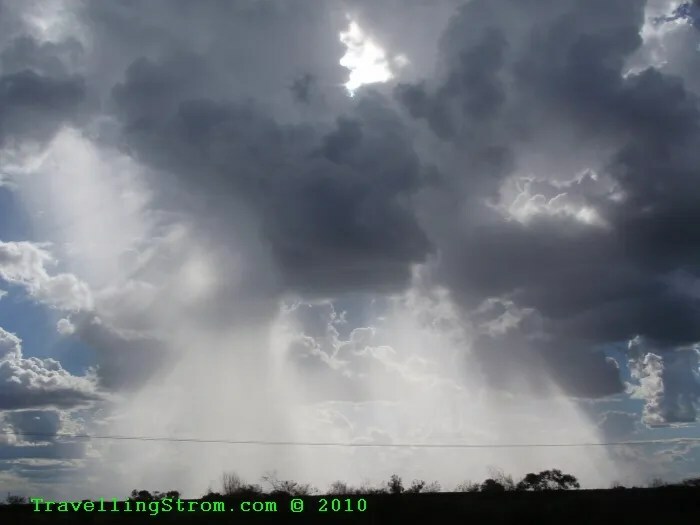 As this place is situated near Pine Gap, a joint military installation, it is no wonder strange things get seen out here 😉 A bit like the ET Highway near Area 51 in the states where I was last year. 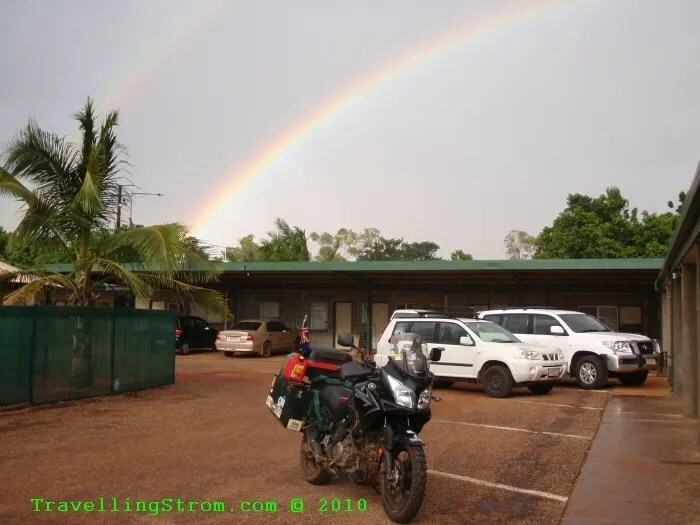 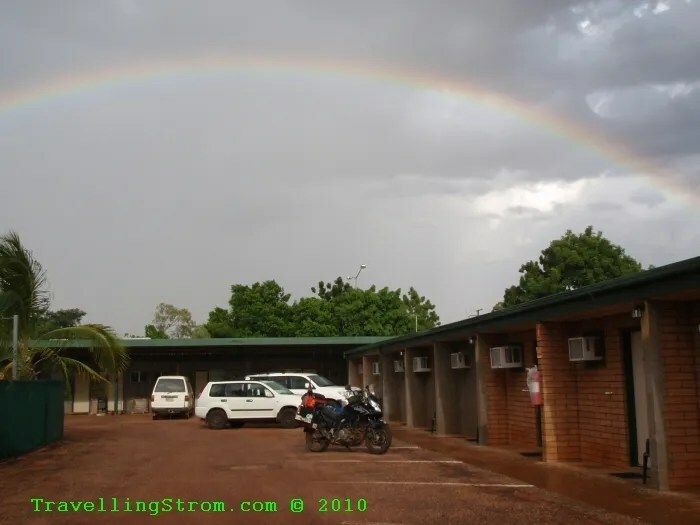 The rain did come bucketing down, but by this time the bar was open so I was only getting wet on the inside 😉 After a good dinner and some great conversation with some fellow travellers, I grabbed a few takeaways and had a quiet evening back in the room and hopefully a good night’s sleep.